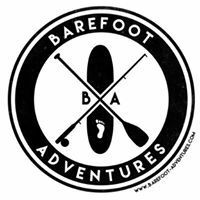 Barefoot-Adventures.net is the beginning of a dream to bring my passions together and share my love of environmental stewardship with others. Outdoor adventures spark enthusiasm about our natural world. From scuba diving, fishing, paddle boarding, sailing and hiking the natural world becomes the greatest playground. We specialize in SUP Fishing. No motor, No sound just the peaceful sounds of nature. Stalk the skinny water with your guide and explore all of those fishy spots you'd otherwise not be able to get to. Stripers, Speckled Trout, Carp, Largemouth Bass, Pickerel, Yellow and White Perch, and Catfish are some of our target species. Fly, Spin and Bait trips available. Sightseeing, photography and ECO-tours are also available. Groups, Team building and rentals as well. ​We sponsor and set up fishing adventures throughout the country and the Caribbean. Through our experiences we have a large network of guides and outfitters that are tried and true to ensure your trip will be one you will talk about long after your return. I have been a PADI SCUBA Instructor for over 20 years and have logged over 4000 dives from the cold dark waters of New England to the warm crystal clear waters of the Caribbean. SCUBA diving is meant to be fun and enjoyable and I strive to make that happen. My experience of turning my students apprehension in to excitement is my favorite part of teaching. Over the years I have developed techniques and teaching styles to make diving easy and enjoyable. Over the years we have made connections and friends through common interests. We have developed a network of water minded professionals who love making their customers happy.